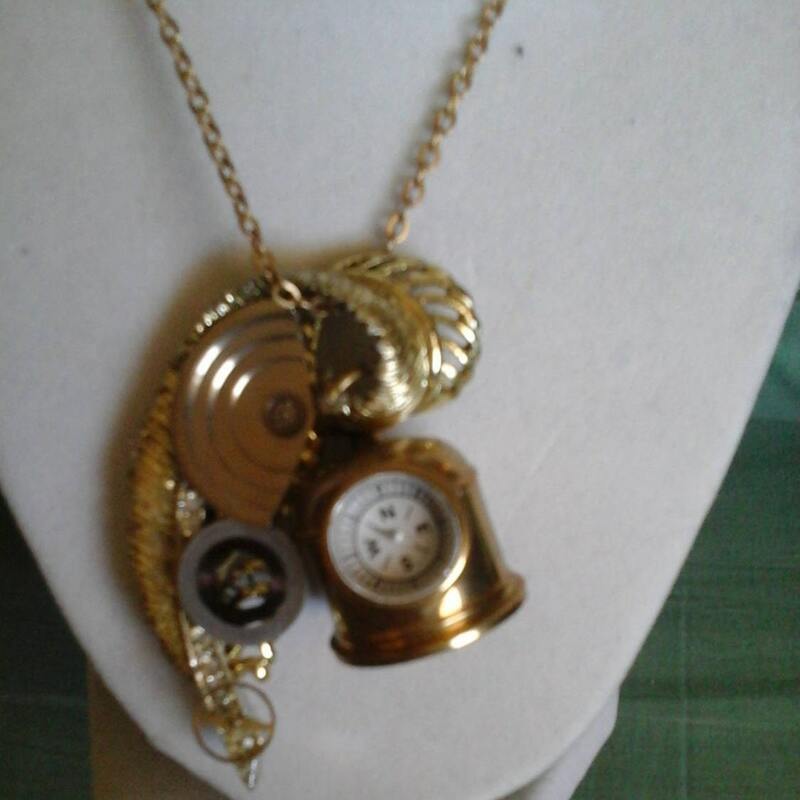 Steampunk Compass Pendant Necklace, re-purposed jewelry, Steampunk Necklace, Golden Pendant with Compass and Gears on Golden 18" Chain One of a kind, Handmade, re-purposed. 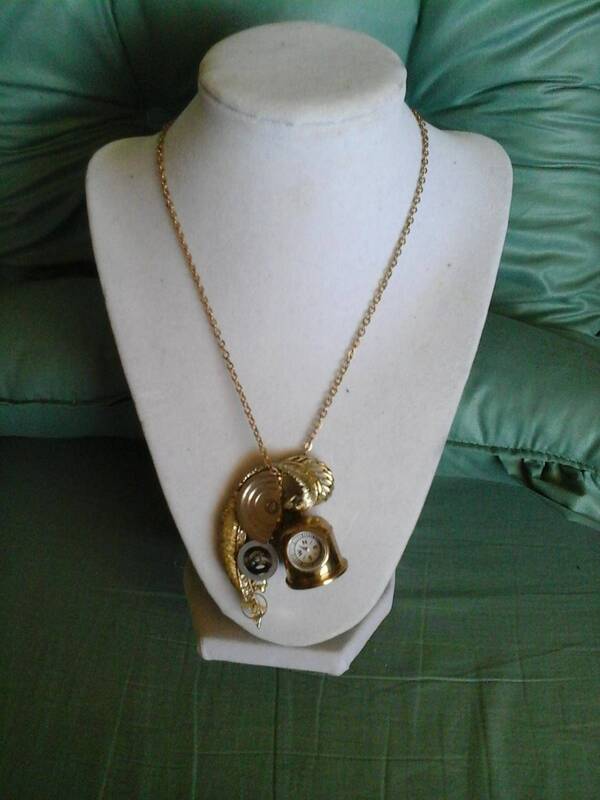 Original Gold Pendant with added compass and gears make a unique statement piece, or part of your cosplay. 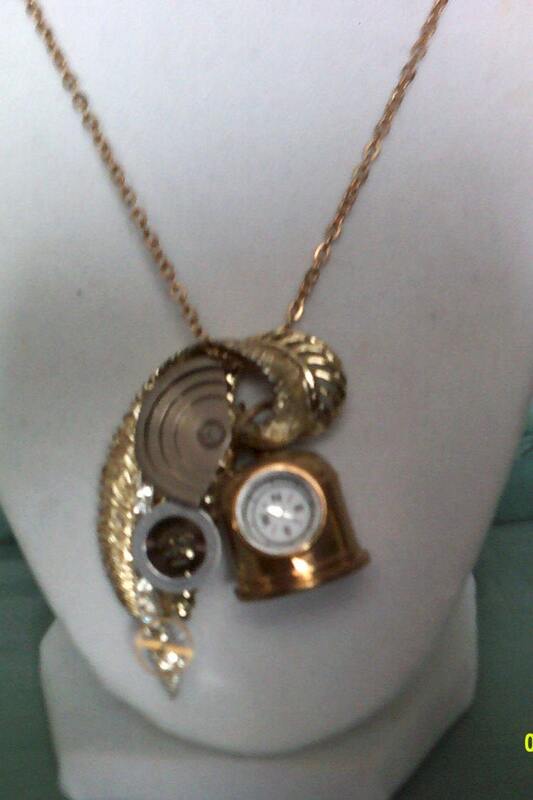 Steampunk themed. A standout present for the special person on your list.